The current heritage climate, which sees the seemingly endless circulation of heart-wrenching images of the destruction of cultural heritage in the Middle East, or the recent ICC prosecution that serves as a reminder of the destruction of cultural heritage in Mali in 2012, can at times make it difficult to remember the significance of work done by heritage professionals, the power of heritage policy, or the field’s achievements more generally. By retreating momentarily from the current global heritage crisis we can appreciate one such success–the National Historic Preservation Act–in the United States, where celebrations in honor of the 50th anniversary of the country’s national heritage legislation have already begun. Highlighted below are some of the important milestones, groups, and laws that informed the National Historic Preservation Act’s creation and content, as well as an overview of one of the Act’s most powerful tools: the National Register of Historic Places. Next year marks the golden anniversary of the National Historic Preservation Act, and celebrations are occurring nationwide to honor the landmark legislation (no pun intended). Festivities have already begun in New York, where events surrounding the anniversary of the New York City Landmarks Law of 1965 are taking place. Two programs scheduled for October alone are sure to impress, including the Transit Museum’s exhibition “New York’s Transportation Landmarks,” which celebrates all things historic and transit in the five boroughs (closing November 1, 2015), or the recent New York City Bar sponsored “History in the Making: The New York City Landmarks Law at 50,” a one-day conference held on October 26, 2015 that brought together experts to discuss the past, present, and future of the New York City Landmarks Law. For those municipalities or jurisdictions not celebrating a landmarks law anniversary, Preservation50, a coalition of national, state, and local preservation groups managed by Cultural Heritage Partners and the Heritas Group, is coordinating and connecting events to commemorate 50 years of the National Historic Preservation Act (NHPA) throughout the United States. These events, while meant to celebrate the history of federal landmarks legislation, also aim to connect leaders in the field for strategic planning that will ensure the continued success of the National Historic Preservation Act into the future. The twentieth century proved itself a particularly hostile period for America’s historic and natural treasures. Although the country’s heritage had suffered losses during the early twentieth century, the losses to the built environment in particular intensified during the post-war period, when cities experienced acute changes in both the use and perception of place and space, the result of new practices in manufacturing and urban planning and redevelopment, as well as suburbanization, to name a few. The threat toward and actual destruction of historic and natural sites leading up to and during the mid century saw the founding of numerous historic preservation groups throughout the country that sought to address issues locally. One such group, established in 1920, was the Preservation Society of Charleston. In 1931, the Society, prompted by the recent U.S. Supreme Court Euclid v. Ambler Realty Company decision, was integral to establishing the first preservation-related zoning ordinance in the United States (in Charleston) that specifically addressed the protection of built heritage. Following the Euclid decision, municipalities were enabled to create similar zoning ordinances that regulated use and would protect historic structures. The primary means of doing this was through the designation of an historic district, which remains a popular tool for protection today. In the case of Charleston this was made manifest through the creation of the Old and Historic District, which not only demarcated a specific geographic area for protection, but authorized the establishment of a specialized, managing group–in this case the Board for Architectural Review–who oversaw (and continues to oversee) all changes to buildings within the District’s borders, whether alterations or new construction. The Board has the authority to approve or reject any proposed changes in the district, a procedure mirrored in similar ordinances nationwide. The 1926 Euclid v. Ambler decision set an important precedent for preservation when it found that certain regulations imposed for public welfare are constitutional under the Fourteenth Amendment as a viable public interest, and did not constitute a taking under the Fifth Amendment. Plaintiff Ambler Realty Company, a firm in possession of valuable land in the town of Euclid, Ohio (a budding suburb of Cleveland), claimed that the town’s recent zoning ordinances which established regulations for activity (commercial, manufacturing, residential) and height significantly reduced the value of their lands by restricting how they used it, amounting to a “[deprivation] of liberty and property without due process of law.” In defense, the town of Euclid asserted its right to manage municipal zoning and felt the plaintiff’s charge was premature, in that zoning does not by default lower the value of land. Applying the doctrine of nuisance, the Supreme Court sided with Euclid, finding that zoning was a perfectly legitimate extension of the village’s police power rather than a violation of Ambler’s property rights, because such regulation served the public good. With the help of local preservation organizations and activists, similar ordinances were adopted by other municipalities from the 1930s onward. 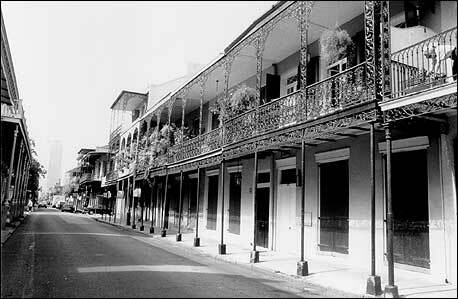 In 1937, New Orleans became the second city in the United States to adopt a preservation-specific zoning ordinance. New Orleans’ and Charleston’s ordinances, and others like it, provide a regulatory framework intended to mitigate change to or impact on built heritage within a district or overlay through a review process. Although the mechanism that triggers review varies from place to place, generally any changes within the physical boundaries of the area under protection–alterations to extant buildings within a district, proposals for demolition and/or new construction, or the addition or subtraction of historic resources from within the physical boundaries of the area under protection–are cause for consideration and action by a municipality’s heritage managers. At the very least such ordinances outline the boundaries of the area under protection, identify a regulatory entity and its power, and include instructions for any proposed changes within the district. 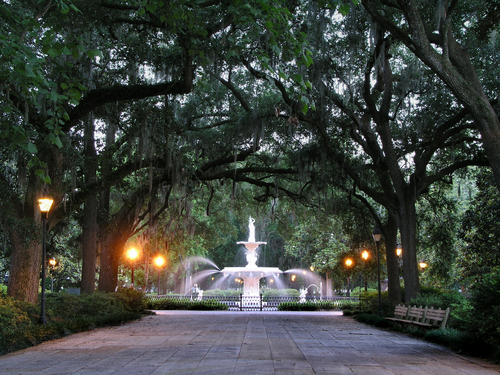 Today place-specific preservation ordinances are responsible for the protection of some of the country’s most cherished historic buildings and town centers, including the Vieux Carré, part of New Orleans’ early eighteenth-century French Quarter, Savannah, Georgia’s famous squares and parks, and the area surrounding the Alamo in San Antonio, Texas. The efficacy of these ordinances and their adoption throughout the United States during the early and mid-twentieth century has been central to influencing state and federal legislation addressing the protection of historic sites and, as previously noted, continue to be a primary tool for preservation planning in America. The preservation of America’s heritage in the first half of the twentieth century was not limited to local efforts. Federal legislation to protect America’s “historic landmarks, historic or prehistoric structures, and other objects of historic or scientific interest” actually began in 1906 with the Act for the Preservation of American Antiquities, which created penalties for the destruction of cultural heritage and marked the beginning of a national effort to identify heritage sites for preservation. Shortly thereafter a new arm of the Department of the Interior was established–the National Park Service–to facilitate the protection of the national monuments designated by the President under the power of the 1906 Antiquities Act. Because the Antiquities Act applied only to federal lands, new legislation was passed in 1935 that bolstered the protection of the country’s cultural heritage. The Historic Sites Act extended the protection offered by the Antiquities Act and declared it “national policy to preserve for public use…and benefit of the people of the United States” sites located on both public and private lands. The Act also called for the survey and inventory of “historic sites, buildings, and objects of national significance,” managed by the National Park Service, thereby increasing the bureau’s reach in the effort to protect monuments, sites, and buildings of national significance through commemoration. The National Historic Preservation Act (NHPA), 16 U.S.C. §§ 470a to 470w-6, is the primary federal law governing the preservation of cultural and historic resources in the United States. The law establishes a national preservation program and a system of procedural protections which encourage the identification and protection of cultural and historic resources of national, state, tribal, and local significance. Recognition of the importance of the federal government’s involvement in preserving the nation’s “irreplaceable heritage” (Section 1(b)(4)) was a vital gesture at this time, with municipalities struggling to effectively respond to numerous threats against the built environment. 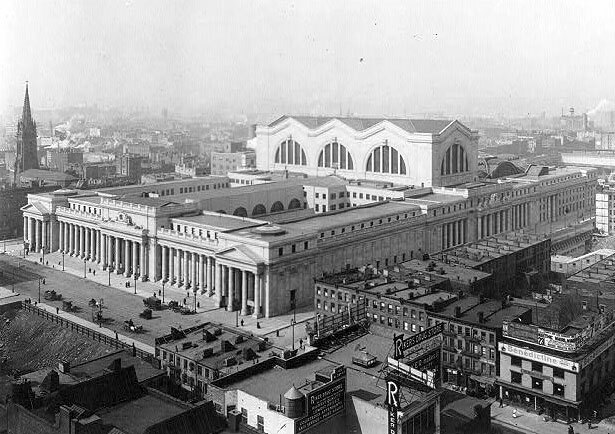 The 1963 demolition of McKim, Mead, and White’s Pennsylvania Station in New York City is perhaps one of the most well known losses during this time, and catalyzed the campaign for a national regulatory framework. With the NHPA came specific federal and state preservation policies and responsibilities as well as, and most importantly, the formalization of site commemoration that was begun with and integral to the Historic Sites Act. With the NHPA, protective landmarking was realized through the National Register of Historic Places. The National Register of Historic Places, per Section 101 (a)(1)(A) of Title 1 of the National Historic Preservation Act, is “composed of districts, sites, buildings, structures, and objects significant in American history, architecture, archaeology, engineering, and culture.” There are currently over one million sites listed on the National Register of Historic Places. Sites are added to the Register through nominations prepared by individuals or organizations, which upon completion are reviewed and either approved or rejected by the State Historic Preservation Officer (or SHPO). The SHPO is the local administrative arm of the National Park Service that operates in each state and oversees implementation of the 1966 NHPA. Each state and U.S. territory has its own SHPO, located in the capital city. The nomination process begins with determining a site or district’s eligibility for listing, determined by the historical or architectural significance of the site, age (generally 50 years or older), and authenticity, or the site’s ability “to illustrate significant aspects of its past” through the physical characteristics that existed during the period of the site’s significance. The National Park Service has created a number of Bulletins to assist in preparing a nomination, as well as templates and examples of successful submissions. Although laborious, the process is straightforward enough that one does not need special training or knowledge to nominate a property for landmark status and protection. Once the nomination dossier is complete, the preparer submits it for review by their SHPO, who then contacts the owner of the nominated property (or owners in a district), to obtain permission to move forward with the nomination. This step is crucial because without owner consent, the nomination cannot proceed and the benefits of listing, such as increased consideration for protection from harm or demolition, are not afforded to the property or properties nominated. In an effort to balance private property rights with governmental protection of property, the ultimate decision to landmark nationally is retained by the property owner, which complicates using the Register as a reactive preservation tool. Designation is viewed as problematic by some because of the regulations imposed by landmark status–whether national or local–which can be seen as antithetical to development and progress. For this reason, the National Register is not typically the most appropriate tool for reactive preservation, since it is unlikely an owner who wishes to redevelop or demolish his or her property would impose regulations against him or herself. However, many municipalities have responded to this issue by implementing local laws that circumvent owner permission. 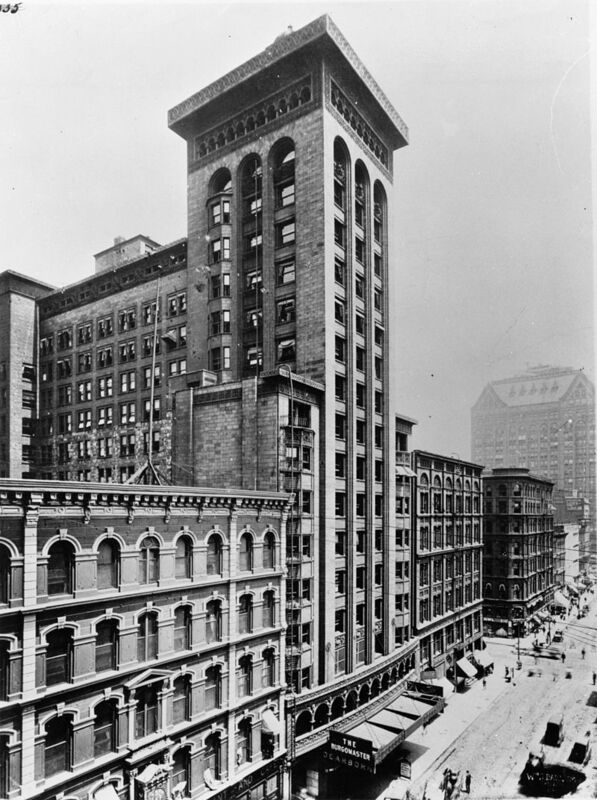 One example is the New York Landmarks Law, which authorizes the Landmarks Preservation Commission to designate local landmarks through a review process that includes public hearings and commentary followed by a vote for approval or rejection by the Commission. It is therefore the Commission who decide a site’s status rather than the property owner. While the regulations that govern each municipality differ, this illustrates the important role local law plays in supporting and supplementing the National Historic Preservation Act. Fortunately, many property owners realize the benefits of a National Register listing, including government funding, tax benefits, preservation education programs, and formal commemoration, and agree to the designation. Removal of a building or site from the National Register of Historic Places is rare, although possible, with only an estimated two percent of all properties removed in the Register’s history. The National Park Services estimates there are over 90,000 individual listings (districts and sites) on the National Register of Historic Places that amount to over one million total properties. As of 2012, fewer than 1800 sites had been removed. Properties can be removed from the National Register at any time and for any reason, which further complicates using the National Register as a tool of protection. A listed property can be sold to a developer, for example, and there is no mechanism in place on the national level to stop the new property owner from altering or diminishing the historic significance of a site, or demolishing the site altogether. However, there are tools that when used in conjunction with formal commemoration strengthen protections on historic properties in perpetuity (or in some cases a designated period of time). A common and straightforward protection is a facade or conservation easement, which essentially grants certain property rights related to use and appearance to a designated governmental or non-governmental preservation organization (the easement-holding organization). This powerful tool is equally beneficial to property owners as it can often be claimed as a tax deduction. While the roughly 90,000 sites listed on the National Register of Historic Places are certainly cause for celebration as the 50th anniversary of the National Historic Preservation Act draws near, historic preservation remains a contentious issue in the United States, and one that is fraught with contradictions that stem from the country’s ever-evolving identity. Despite the legal protections in place on both the national and local levels, and despite the many groups working to protect America’s history, progress and growth at times remain in opposition to history, memory, and heritage preservation, much like fifty years ago when the Act was adopted. The Act has helped to balance the interests of development and preservation, and to raise awareness about the importance of protecting the country’s heritage, which has been realized more expressly through supporting legislation like local landmarks laws, zoning ordinances, and property easements at the municipal level. The challenge of the first fifty years of the NHPA has been responding to threat through identifying, documenting, and designating historic sites on the National Register of Historic Places, while at the same time connecting a nationwide network of preservation professionals through state and federal programs. The next fifty years of preservation in the United States is sure to be at least as challenging, since leaders in the field must continue to balance responses to threats with the legislative tools available to them, while at the same time repositioning preservation as a field that is not limited to rules and regulations. American Antiquities Act, 16 U.S.C. 431-433 (1906). Historic Sites Act, 49 Stat. 666; 16 U.S.C. 461-467, (1935). The National Historic Preservation Act, Pub. L. No. 89-665; 80 Stat. 915; 16 U.S.C. 470 (1966). The Nation’s Plan for Celebrating 50 years of the National Historic Preservation Act, Preservation50, http://preservation50.org/, (last visited October 12, 2015). National Register Bulletin: How to Complete the National Register Nomination Form, National Park Service, http://www.nps.gov/nr/publications/bulletins/nrb16a/nrb16a_II.htm, (last visited October 15, 2015). The National Register of Historic Places, National Park Service, http://www.nps.gov/nr/htm, (last visited October 23, 2015). National Register of Historic Places: State Historic Preservation Officers (SHPO), National Park Service, http://www.nps.gov/nr/shpolist.htm, (last visited October 15, 2015). National Register of Historic Places Program: National Register Federal Program Regulations, National Park Service, http://www.nps.gov/nr/regulations.htm, (last visited October 15, 2015). National Trust Historic Sites, National Trust for Historic Preservation, http://www.preservationnation.org/travel-and-sites/sites/?referrer=https://www.google.com/#.Vi0Hhq6rSUt, (last visited October 23, 2015). National Trust for Places of Historic Interest and Natural Beauty, http://www.nationaltrust.org.uk/, (last visited October 10, 2015). The National Trust for Historic Preservation, http://www.preservationnation.org/?referrer=https://www.google.com/#.VhG40yBViko, (last visited October 23, 2015). New York City Landmarks Law, N.Y. ADC. LAW § 25-301-322 (1965). New York Transit Museum, MTA, http://web.mta.info/mta/museum/, (last visited October 15, 2015). Preservation Society of Charleston, http://www.preservationsociety.org/about-preservation-society-of-charleston.php#history, (last visited October 13, 2015). Village of Euclid, Ohio v. Ambler Realty Co., 272 U.S. 365 (1926). *About the Author: Lindsay Dekter is a Center for Art Law Intern (Fall 2015) and a graduate student at New York University in the Program in Museum Studies. She holds a BA in Cultural Geography and an MS in Historic Preservation. Her current studies focus on museums and legal issues, cultural heritage policy and preservation, ethics, provenance research, and restitution. Disclaimer: This article is for educational purposes only and is not meant to provide legal advice. Any views or opinions made in the linked article are the authors alone. Readers are not meant to act or rely on the information in this article without attorney consultation.